Ok, I have been living under a rock a little recently, I have had so much going on that my blog and my hands on time has been suffering, sorry for that. 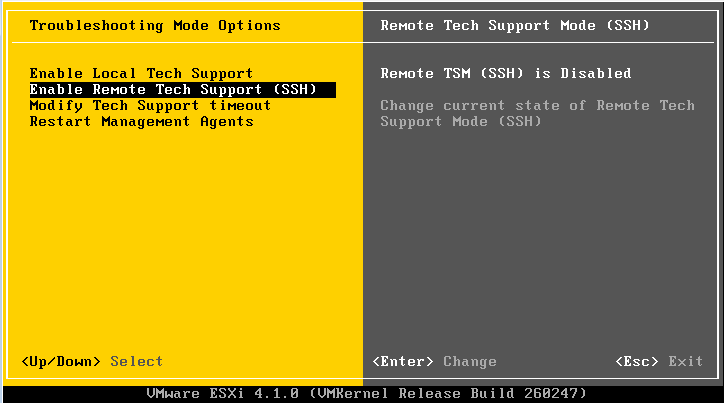 Whilst delivering a presentation on the new features in vSphere 4.1 – Of which there are tons (should have been 4.5 in my opinion), I came across the ability to be able to enable SSH from the DCUI (Direct Console User Interface). 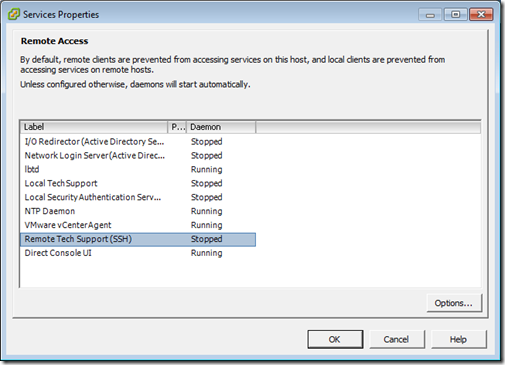 This has also been made available as a service in vCenter now where they can be remotely started and stopped…. 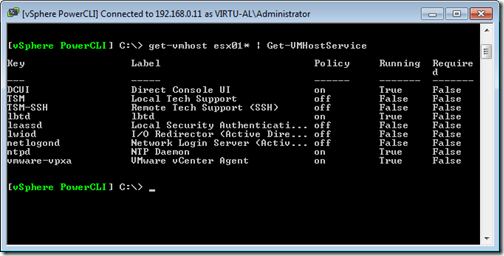 OK, so this is probably not new news for the people who have had time to play with 4.1 but the cool thing is that that this is now also available via PowerCLI too, we can see this if we retrieve the VMHost and then run a Get-VMHostService on it…. 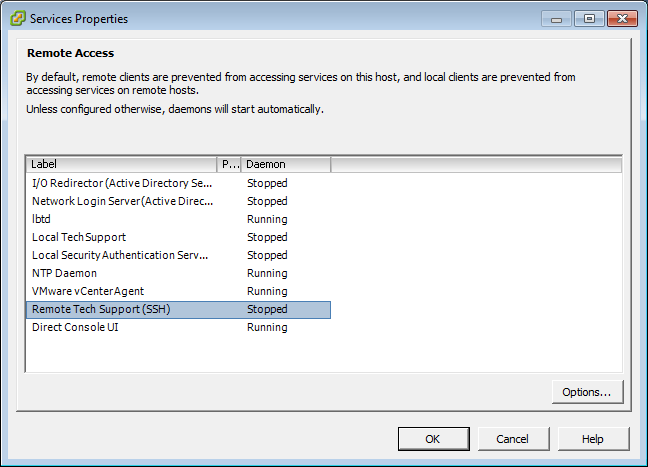 We can also do this for any of the other services in the list including restarting the vCenter Agent – Now that’s a cool new feature in 4.1 ! 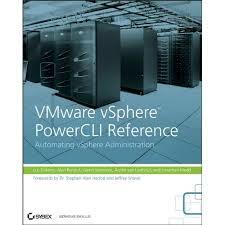 Previous PostVMware Session 4: Advanced performance troubleshooting using esxtopNext PostVMworld Session: PowerCLI is for Administrators! Thank you so much for this best simple code. I tried to modify your code to start the service on the single host, but it is in vain. Much appreciated your help Alan. I like your “one line” script , haha ,Thanks. Hello , Alan ,I like your “one line” script , haha ,Thanks. Thanks Mike, thats good to know. To bad after closing it, current sessions are not killed. Seems a security issue to me. Any plans to add control of the services to the Community Powerpack? Are you able to enable the webAccess service also with the PSCLI? Not directly i dont think but you can run putty through powercli or other ssh clients.